A Caller had asked solution for his debt and financial problems. Brahmanda Guruji Shri Narendra Babu Sharmaji suggested the below given procedure. One has to visit Gnanavalli Sametha Sara Parameswarar Koil at Thirucherai is known as Kadan (Debt) Nivartheeswarar (Solver), the temple for debt relief. Located about 20 Kms from Kumbakonam on the Kumbakonam Tiruvarur Road. The Deity is also known as Rinavimochanar. You have to visit the temple on the day of Pradosha. You will get this information through any Hindu Calenders or Panchangam. You have to visit this temple eleven consecutive Pradoshas. Visiting this temple for 11 consecutive Pradoshas might be difficult, since Kumbakaonam - Temple City is not very close to everyone. 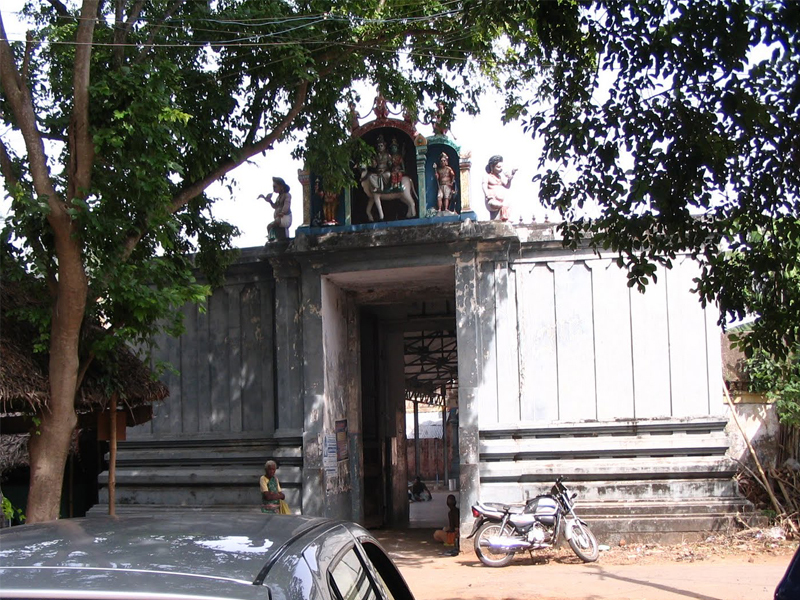 Hence during your first visit to temple offer Bilva Archana to Lord Rinavimochanathar. Consult the temple authorities and pay a amount to send the prasadam every month and will reach you every Wednesday/Thursday for eleven consecutive months. If you have offered first pooja on Pournami Pradosham, you will get prasadam every Pournami Pradosha else if you have offered first pooja on Amavasya Pradosha, you will get prasadam every Amavasya Pradosha. 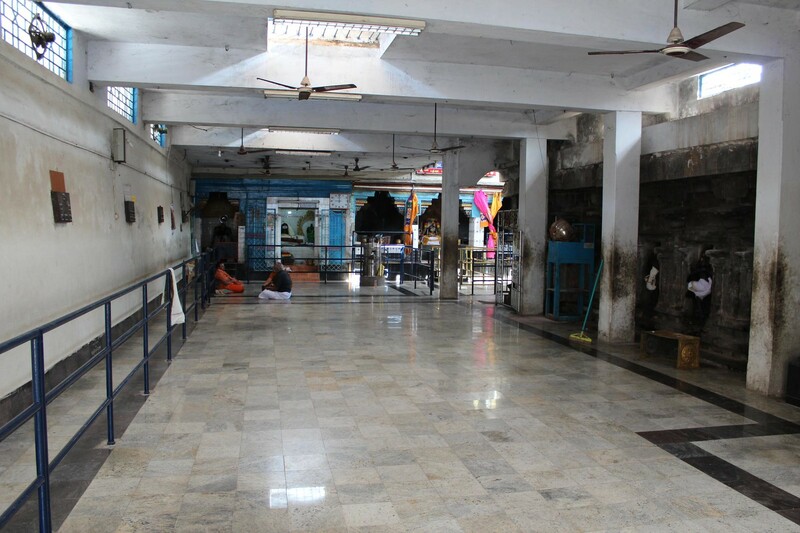 At the end of the eleventh month, or at any later date, you have to visit the temple and take part in an Abhishegam (ablution) that is done and offer Dhoti (Panche in Kannada ; Veshti in Tamil) & an extra piece of scarf-like cloth known as Shalya in Kannada ; Angavastram or Thundu in Tamil. The above procedure can also be followed for 11 weeks as mentioned below. Brahmanda Guruji gave us 11 Month procedure. In temple 11 week procedure is also followed. Mondays are very special for Lord Shiva. 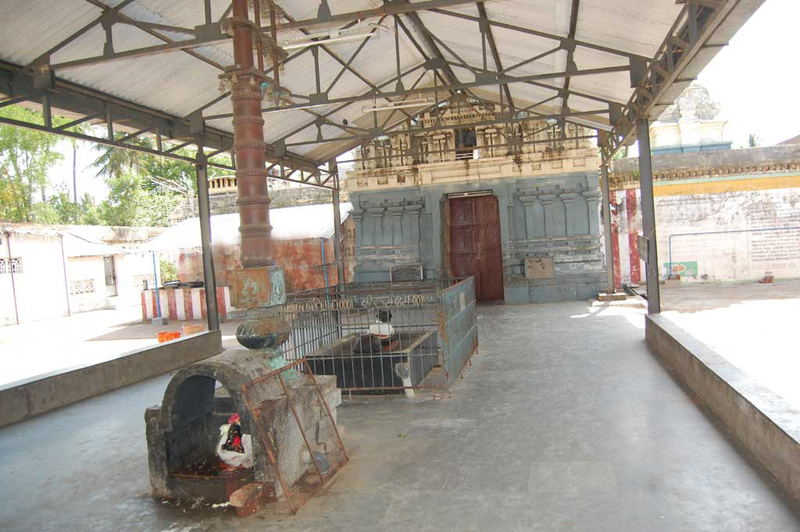 Worship Kadan Nivartheeswarar, as Rinavimochanar is also known, for eleven consecutive Mondays here. This would not be practical for most of us. However, when you visit the temple you can register your name (mention your birth star, gothram, names of your other family members and their birth star) for the archana (roughly translated as series of mantras or slokas chanted in praise of God) that will be performed on eleven Mondays. The cost for this is Rs.225/-. The prasadam is sent every week and will reach you every Wednesday/Thursday for eleven consecutive weeks. At the end of the eleventh week, or at any later date, you may visit the temple and take part in an Abhishegam (ablution) that is done every Monday. The timings of the Abhishegam (ablution) are 6 AM, 11 AM and 6 PM. You can choose the time according to your convenience. The whole ritual takes about two to three hours. The cost of taking part in this Abhishegam (ablution) is Rs.350/-. The rates given might vary, check with the temple for more recent one. 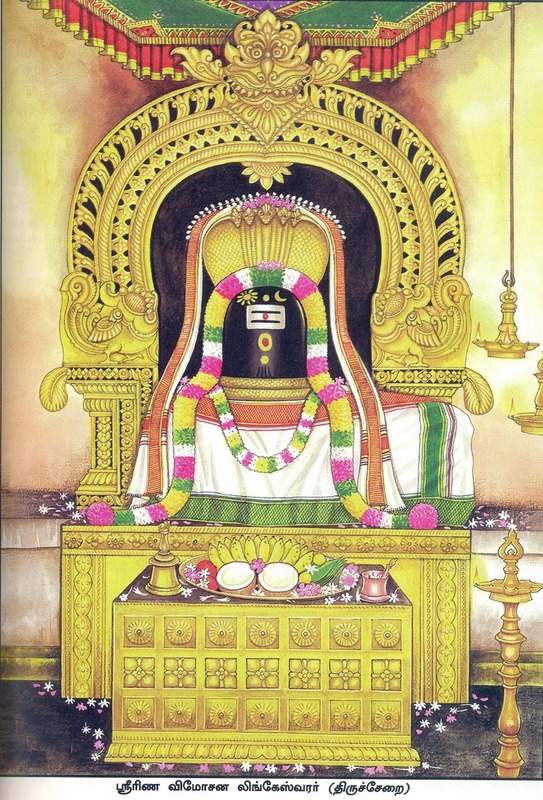 On 13,14,and 15th of Tamil month of Masi Sun ray's fall directly on Shiva Lingam. After praying Runa Vimochaneswarar one has to pray Mahalakshmi and Jyestadevi to be debt free for rest of his life. The general belief is that worshipping Lord Shiva here helps improve the financial status and be debt-free. It is just the superficial meaning. However there is a deeper meaning to this. Debt includes financial debts and not limited to it. The ancient Rishis or sages had framed a set of rules or Code of Conduct which are to be followed by all human beings. The second set of debts i.e. debt to Rishis can be repaid by following and adhering to the Code of Conduct laid down by the Rishis. A man can repay his debt to the Rishis. There also a set of rules called Nithya Karmas (daily duties) which are to be adhered to. Before this abhishegam (ablution), flower is distributed to the devotees and then taken back during the abhishegam (ablution). This signifies that you have paid back your debts. Eleven is a special number for Shiva as there are eleven forms of Rudra Shiva. Abhishegam (ablution) to Shiva is done with eleven materials as prescribed in the Shiva Agamas (Shiva worship rules). There are a fairly large number of people that join in this worship ceremony. During this ritual, a priest recites the Dharidriya Dhahana Shiva Stotram over a public address system and the devotees are encouraged to repeat after him. Thus worshiping at this temple absolves us of the three debts viz Deva Rina, Rishi Rina and Pitru Rina, apart from being blessed with prosperity. Reciting the Dharidriya Dhahana Shiva Stotram thrice a day also is said to yield the same benefits. I have put the same below for ready reference. Would enjoy the pleasures of heaven.